Pierre Thiam is not just a chef. 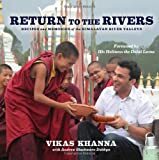 He is also an author and cultural ambassador. Ever since Thiam started cooking in the 1980s he has been on a mission to share his Senegalese culinary heritage with the world. Along the way he also created two great Senegalese restaurants, Le Grand Dakar and Yolele, which have since closed. He is now in business as Pierre Thiam Catering. Like a lot of other countries in the developing world, Senegal is under pressure to modernize, adopt new cash crops and conform to what everyone else is doing. 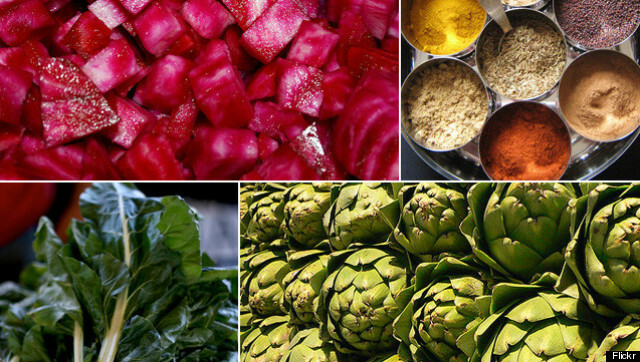 In the process, much that is valuable is being forgotten and a whole culinary heritage is in danger of being lost. I was fortunate to meet and get to know Thiam as we both write for the same publisher, Lake Isle Press. Fonio is a grain that has been part of Senegal's culinary heritage for more than 5,000 years. Its importance is so great that on his last trip to Senegal, Thiam's aunt pressed a bag of fonio on him to carry around for good luck. It is the smallest variety of grain in the millet family and is similar to quinoa in that it is nutritionally dense, drought resistant and easy to grow. Fonio is ready to harvest an astonishing six to eight weeks after planting, which means that three crops can grow in one season. Crops like fonio are essential in helping preserve the way of life across sub-Saharan Africa, but they are steadily being squeezed out by cash crops such as corn that are not indigenous to Senegal. Every year more land is lost to desertification as nutrients are leached from the soil and too much ground water is used up. Run-off from fertilizers is contaminating wells and change is urgently needed to preserve the land and its traditions. Thiam thinks he can help. Thiam's latest venture is to organize a culinary heritage tour for food professionals as a way to promote the foods of his native land. Tour participants will meet Senegalese chefs, learn about their traditions and get a chance to see how they use native ingredients. He wants to get New York City-based chefs who are influential tastemakers interested in using products like fonio to give his native cuisine the same sort of familiarity that we now have with Indian and Moroccan cuisine. Stimulating demand for ingredients will be an important future element in creating a market for Senegalese farmers to grow more sustainable crops. 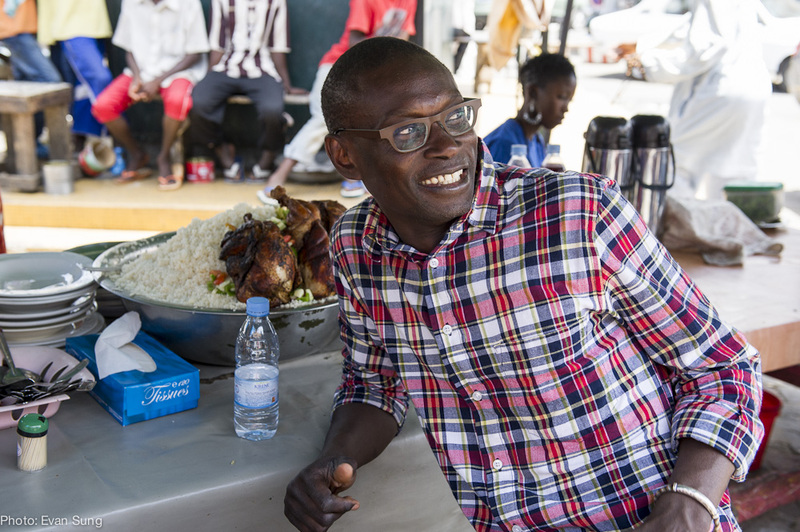 After the trip is completed, Thiam will follow up with the chefs in New York as they put Senegalese ingredients to work in their own kitchens. Then he will collect the recipes in a book which he is planning to continue spreading the word about the great cuisine of Senegal. It will include the new dishes that are created by the American chefs as a result of the tour and the new creations of Senegalese chefs. 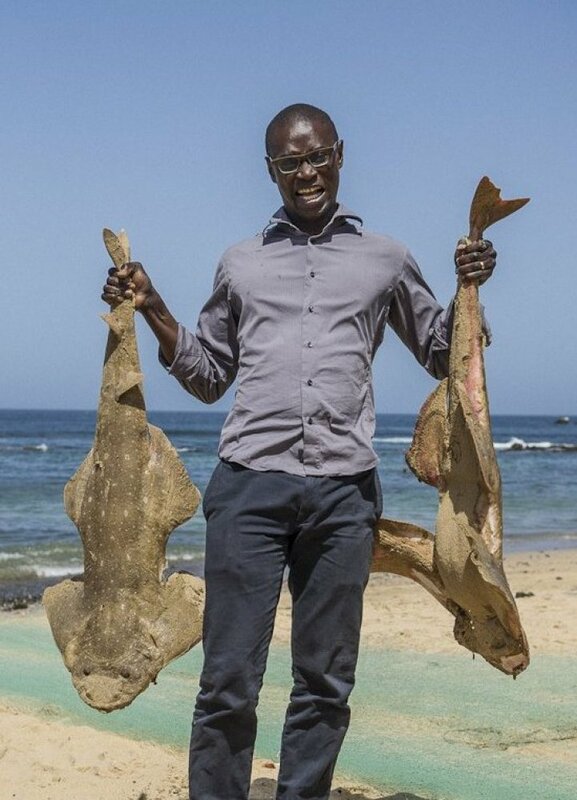 At present, when tourists visit Senegal, they have to go out of their way to find restaurants that specialize in the native cuisine and this is another part of what Thiam wants to change. If he can stimulate interest among chefs in the United States then he thinks that it will help spur demand for Senegalese food back home and inspire the chefs of Senegal to present their own cuisine with pride. Thiam's current plan is for the tour to take place in January of 2013, and he is looking for interested sponsors to help underwrite the costs. It is a terrific and worthy project that can do much to raise the visibility of Senegalese cuisine. If anyone wants to take part or become a sponsor they can get more information here on the contact page: Senegalese Heritage Tour. The recipe that follows comes from Thiam's book, Yolele! Recipes From the Heart of Senegal. 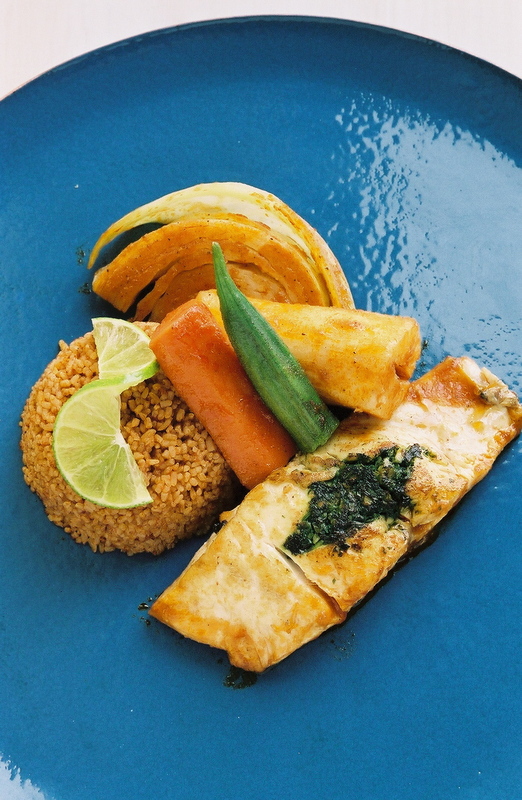 It is a recipe for thiebou jen, one of Senegal's great dishes. Most great food in any culture arose from a tradition of communal cooking in which many hands were involved. Senegalese cuisine involves daily grinding of grains by hand by means of a flat-bottomed pounder with a long pole. Two people work together with one throwing it up in the air and the other slamming it down to smash and grind the grain. Songs and chants accompany this work and it is another of the important elements in maintaining a strong sense of community. Thiebou jen -- in Wolof, "rice with fish" -- or just "thieb," is our national dish. In Africa thieb has become nearly synonymous with Senegal. Thiebou guinaar (rice with chicken) and thiebou yapp (rice with meat, usually lamb) are also popular, but there's something about the melding of the fish, which we stuff, and the vegetables, cooked in thick tomato sauce, that makes thiebou jen memorable. Traditionally, broken rice is used, a holdover from poverty days when the broken rice bits at the bottom of the sacks were usually all that were left come the time to prepare thiebou jen. Often, there will be a coating of browned rice on the pot bottom (khogn), stuck thanks to the sugary thickness of the tomato paste in the sauce. Because these dregs are so delicious, they become the cook's prize, a fitting reward for a hard day's work, which she may or may not choose to share. Thieb has come to represent to me Senegal's ability to take cuisines from various cultures and put its definitive stamp of ownership on them. The cabbage and carrots were introduced from Europe, and tomatoes, which have become significant in our cuisine, have a New World origin. 2. Heat the oil in a large pot over medium-low heat. Sauté the onions until soft but not brown, stirring occasionally with a wooden spoon. Add the tomato and stir. Dilute the tomato paste in 1 cup of the water and add to the pot; stir well. Add the sugar and a pinch of salt, and stir to dissolve. Cover the pot and reduce the heat. Simmer until the oil rises above the tomato mixture, stirring occasionally and adding water if needed, 1/2 cup at a time, about 30 minutes. Make sure the tomato does not stick to the bottom of the pot. 3. Meanwhile, season the fish with salt and pepper. Make two 2-inch-long slits in each steak, and stuff each crevice with about 1 teaspoon rof. 4. Add the remaining 5 cups water and the bay leaf to the pot. Season to taste with salt and pepper. Carefully place the stuffed fish steaks in the broth, along with the fish heads and the cabbage, carrots, yuca, butternut squash, and okra. Add the habanero. Bring to a boil, then lower to a simmer. Cook uncovered for about 1 hour over medium heat, removing the fish after about 30 minutes and vegetables as they cook through, when they are easily pierced with a knife. 5. Add the tamarind paste to the broth. Adjust the seasonings and let simmer 20 more minutes until oil rises to the surface of the broth. 6. Remove a few ladles of broth to a separate bowl and add the fish sauce. Stir well. Taste the sauce and adjust seasoning again. Remove the habanero, unless you prefer an extra spicy thieb. 7. Add the rice to the pot, returning some of the reserved liquid to the pot if necessary, to just cover the rice. Bring to a boil and reduce heat to low. Cover the pot with a tight lid and cook until tender, about 30 minutes. 8. Arrange the rice on a platter, then distribute the vegetables and fish evenly over the rice. Sparingly, spoon some of the reserved cooking liquid over the thiebou jen before serving. Serve with lime wedges. Mix together to a smooth paste in a mortar and pestle or blend in a food processor.